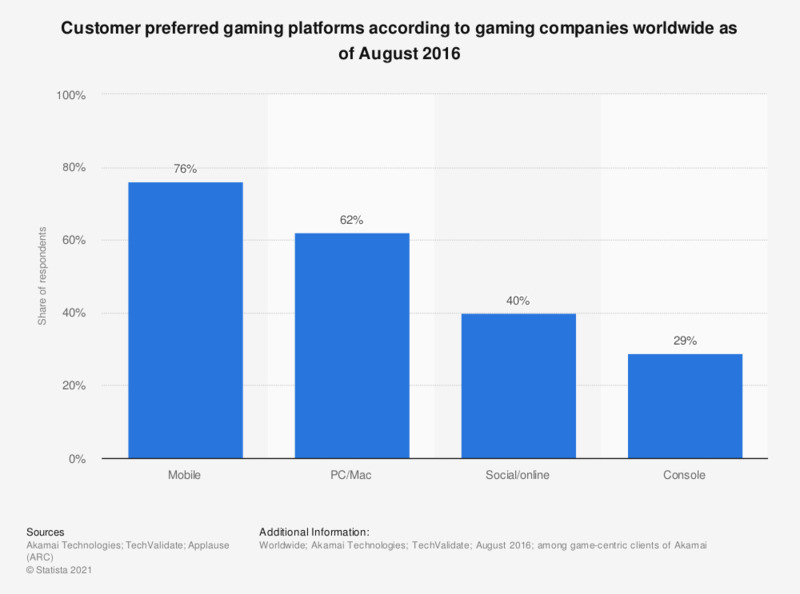 The statistic presents information on customer preferred gaming platforms according to gaming companies worldwide as of August 2016. According to the findings, 29 percent of companies stated their customers preferred playing console games. New Zealand: Which gaming platforms do you regularly use? Taiwan: Which gaming platforms do you regularly use? Chile: Which gaming platforms do you regularly use? Chile: How many hours per week do you spend playing video/computer games?